We first held our annual commencement ceremony here for our university this past weekend. All the work you did on our behalf to design a flyer certainly paid off. The flyer looks professional and we were able to give out many copies at the ceremony. Thank you for your support, great service and your attention to detail. We also appreciate the donation you made to us for two diploma frames for our honorary doctorates. Thanks once again to you and all of your staff for your exceptional customer service during our recent Convocation ceremonies. Your commitment to our program is outstanding! Also thank you for shipping the additional frames to our Brantford campus. We have worked together since 2000 and I look forward to working with you again this year! I would like to take this opportunity to commend you and your team on the success of our most recent graduation framing service. The revenue generated through the framing program has once again exceeded our expectations and we have been able to use these funds to support the activities of our office and the Alumni Association. We are very pleased with the programs performance as the quality of service and merchandise which your company has provided over the past three years. We look forward to a long relationship with Tempo Framing Systems. I wanted to take a moment to sincerely thank you for providing me with outstanding customer service. After purchasing my second frame from Tempo Framing Systems last month, I was eager to display my Ryerson University degree. As I was nailing it into the wall, my University of Waterloo degree fell to the floor (you’d think they didn’t get along or something!) shattering the top layer of glass. I called your Pickering office and spoke with Mary. It was so refreshing to speak with someone who was not only understanding and sympathetic, but she also went the extra mile. She immediately sent me a new piece of glass at no extra charge, proving her professionalism and commitment to customer service. I received the piece of glass by courier in a matter of days, but was disappointed to find another piece of broken glass, especially after Marys’ kind gesture. I called your office back and left a message with Fred. I explained what happened and volunteered to pay for another piece of glass to be sent out to me. Fred promptly returned my call, and again, was very sympathetic and understanding. He told me he would send me another two pieces of glass (apparently they pack better that way) by courier at no additional charge. He told me it would be in the mail that afternoon, and asked me to please contact him if there were any further problems with the delivery. I couldn’t believe it! I am so impressed with your company and the way you treat your customers. Your success is no surprise to me, and I applaud your superior level of service. Having my own communications consulting business, I understand the importance of excellent customer service. Thank you again for the treatment I received. Wishing you continued success. The Golf Frames were perfect. All the golfers loved them. Thanks so much for your assistance. Your office did an excellent job. Thank you so much for the opportunity to offer the Tempo diploma frame and framing service to the graduates of County College of Morris. As this was our first year, we were a little apprehensive as to how it would be received. We ended up overwhelmed by the major success of this wonderful offer! Everyone loved the beautiful frames and were grateful for the on-site framing service. We did a landslide business and were able to add a generous amount to our Alumni scholarship fund. What a fun and easy way to raise money, and so quickly! We are now eagerly anticipating next year and look forward to an even more successful fund-raising opportunity. By providing this valuable service to graduating students, they will have a constant visible reminder of County College of Morris. 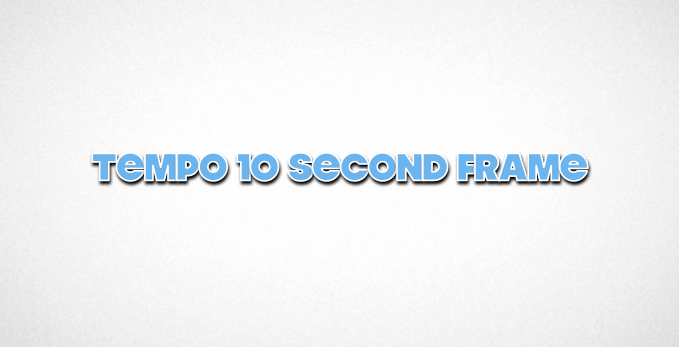 The Tempo Framing Program is definitely a winner! Enclosed are copies of two different types of awards we place in your frames. …Before we started using your framing system we were having the awards professionally framed by a local frame shop. Our framers did great work, but each frame cost nearly $40.00 to produce and our waiting time was sometimes 2-3 weeks. Your system works very well for us and saves us a fair amount of money. I am also impressed with the prompt service I’ve received. …Many people have complimented us on the quality of the awards we have given. Even though they are not ‘walnut engraved’ or ‘platinum plated’, people seem to like them and think they look first-rate. Thank you for your product and good service. Some of the features which we like about Tempo Framing and their framing unit are as follows: they confirm or double check if they think something just isn’t right on the P.O. They never assume. ; fast delivery and accommodating for rush orders; pleasant and helpful staff; can speak to the president when we call; very attractive framing unit; mat is produced in our university color with our logo in gold foil; fast and easy framing unit (anyone could frame a diploma, picture, etc. using this unit – that’s how easy it is to use. They look great! I can’t believe the quick turn around time. Thanks so much for all your help. You did a beautiful job on the frames, particularly with the fast turnaround. Tempo is an amazing company! I wanted to say thanks again for all your hard work in making our convocation successful this year. I really appreciate your help in bailing me out when I under estimated my numbers. I couldn’t have done it with out you and your staff. Could you please pass on a special thanks to Tak for all his time and hard work at convocation as well as a thanks to your staff. You were definitely right about the Wood Frames, they are selling fast. The Diplomat frames are selling better than expected as well. In fact, would you be able to ship us five more boxes of Diplomat frames?